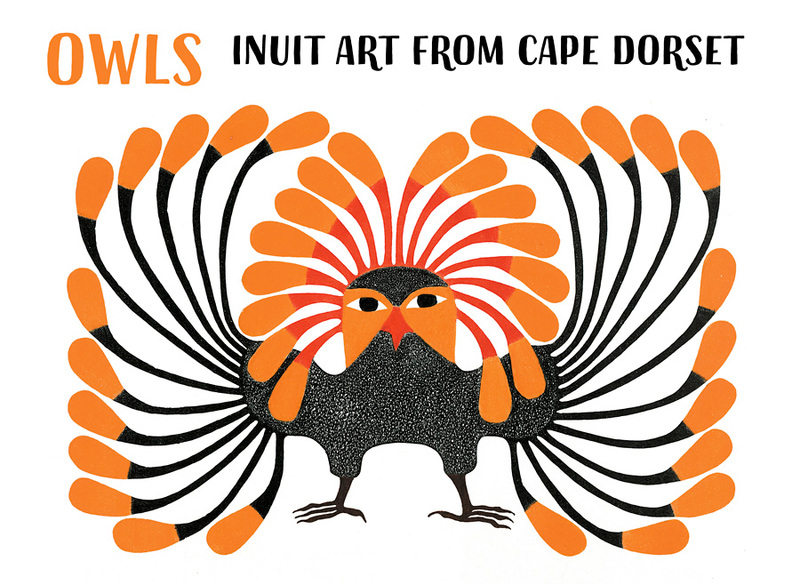 In the Canadian Arctic territory of Nunavut, the artists of Cape Dorset have been making limited edition fine art prints since 1959. 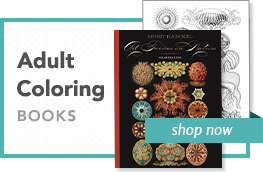 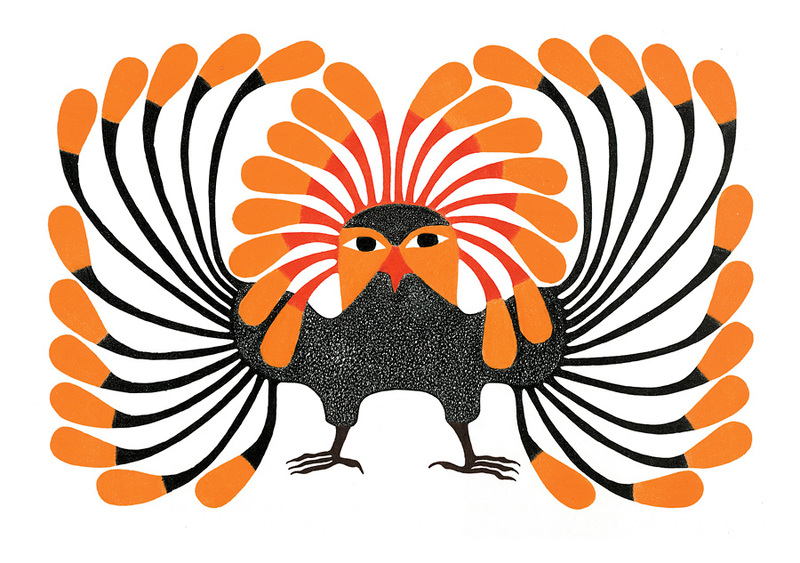 An array of techniques has long been available to the printmakers—etching and aquatint, copper engraving, stencil, and woodcut—but the studios’ mainstays are stonecut and lithography. 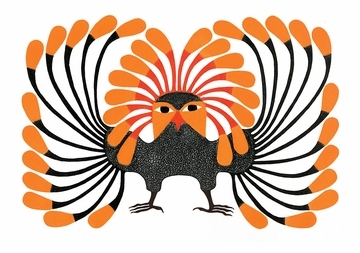 The Kinngait Studios are active from fall until late spring, when the artists and staff take summer off, many to return to their traditional camp areas. The Inuit treasure their language and stories, their connection to the land and its resources, even as they adopt modern ways. 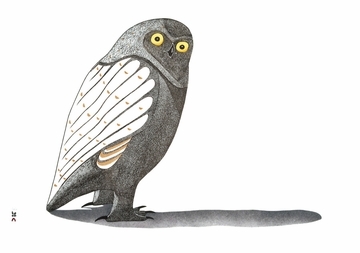 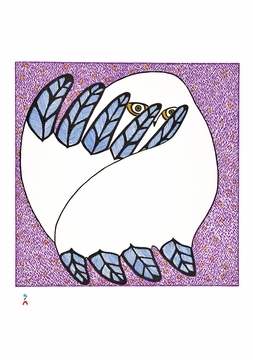 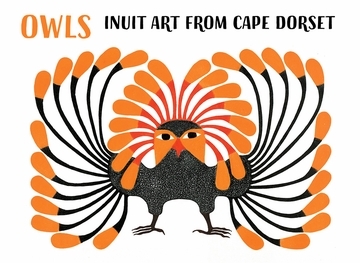 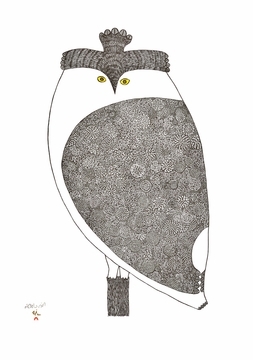 Whether regal and resplendent or playful and peeping, the owls that appear on these cards illustrate the unique styles of Ningiukulu Teevee, Kananginak Pootoogook, and Kenojuak Ashevak—three renowned Inuit artists from Cape Dorset.